Easter is nearly here – a fantastic, chocolate filled four day weekend. If you are looking for inspiration for some unique events for you and your family to attend we have compiled a few of our favourites for you. What says Easter more than knights upon their chargers? Possibly eggs and bunnies, but if you are near Leeds over the weekend why not visit the Leeds Armouries where they are having a jousting tournament. 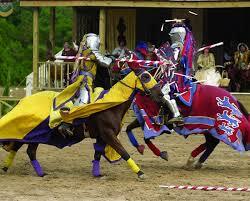 The Easter Tournament is a four day festival of pomp and pageantry and every day includes a packed program of jousting, medieval music and crafts. The highlights will surely be the Melee on Monday where all the competing knights clash with clubs. Fans of computer games should head to Edinburgh for the latest in the Game Masters exhibition. This exhibition is on a worldwide tour and the Edinburgh stop is a brilliant day out for gamers of all ages. 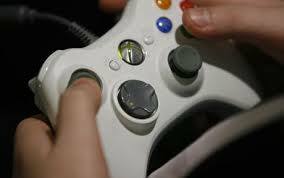 Over 125 games of all types are available to play, along with interactive displays and interviews with games designers. Perfect for a rainy day this exhibition is open all over the Easter holidays and beyond. For a more serious and contemplative commemoration of Easter, Trafalgar Square in London is hosting a full scale re-enactment of the Passion of Jesus Christ. This free event is held on Good Friday (3rd April) and is running for the 6th year so is now a fully established part of the London Easter calendar. With a cast of over 100 and many animals to add to the atmosphere this always attracts thousands of spectators. 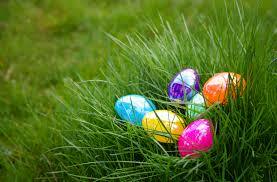 It wouldn’t be Easter without an Easter Egg hunts and there are many all over the country to chose from. Cadbury are running their collaboration with the National Trust for the eighth year running – these are all over the country so enter your postcode here to find a suitable one. Many hunts all over the country are run by local charities as a crucial fundraising and profile raising excercise, and the one that caught our eye was the one run by Naomi House – they are running an Easter Egg hunt in the grounds of Highclere Castle, Buckinghamshire, also known as Downton Abbey. On Sunday, this could be a fabulous combination of charity, chocolate and culture. However you chose to celebrate Easter, we hope you all enjoy the long weekend and time with your family and friends.